Good News! 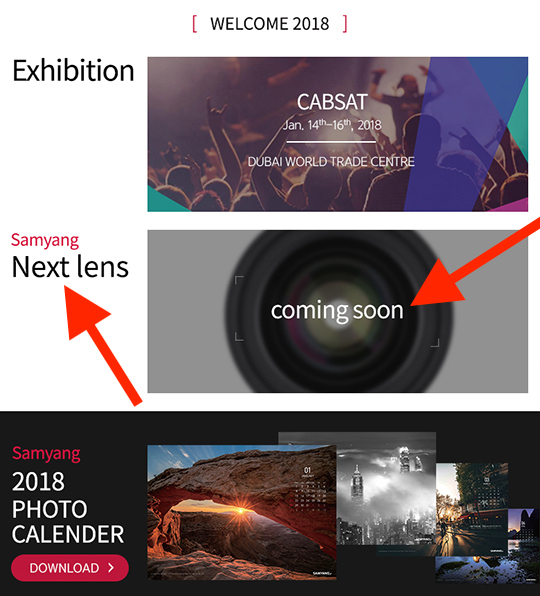 Samyang will soon announce a new lens soon! It is rumored to be a 135mm FE or a new FE zoom. Stay tuned for more info.